Download the fully functional 30-day trial or set up a live Demo with our experts. Margill products are used in 38 countries by thousands of professionals and organizations, such as the prestigious U.S. Securities and Exchange Commission, Department of Justice Canada, Deloitte, Toyota U.S.A., SBA Bank, and Manulife Financial. Because of its mathematical superiority: irregular payments, special refund methods, on-the-fly live data, etc., Margill products are the choice of public and private companies, regulatory agencies, banks, and governments. 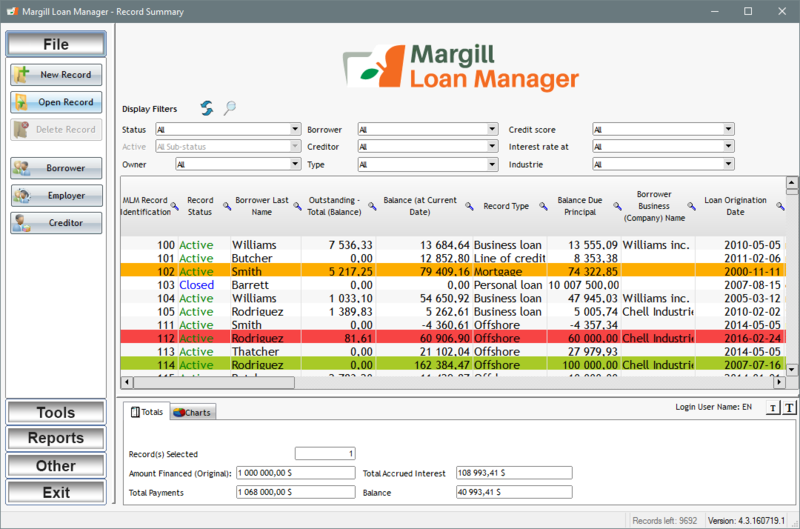 With unlimited custom Fields, custom Menus, custom Dashboard, custom Payment types, and custom Reports, Margill Loan Manager allows you to set up your software as you wish, to reflect your reality. Talk to one of our specialists to learn more. The Margill team includes specialized senior and junior programmers, lawyers, and outside consultants (accountants and actuaries). When it comes to interest calculation and loan management, we are the specialists. Import your customer information, payment schedules, irregular payments and other important data! Export most data to Excel directly to the General Ledger for QuickBooks, Sage and others (CSV, TXT or Excel). 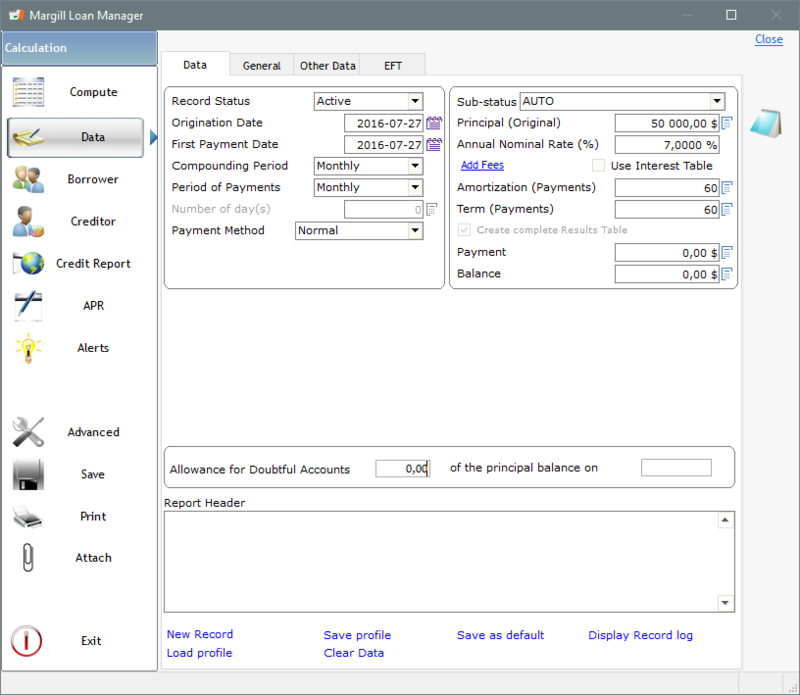 Automatically add fees, insurance and taxes to your loans or leases and send modification emails. Create your own letters, invoices, statements and other important documents. Then send them directly to your customers by email. To help you create very detailed reports and learn more about your customers and their habits. Margill has made our lives much easier here since we installed it. It has cut down the time it takes to perform my month-end accounting procedures greatly!!! 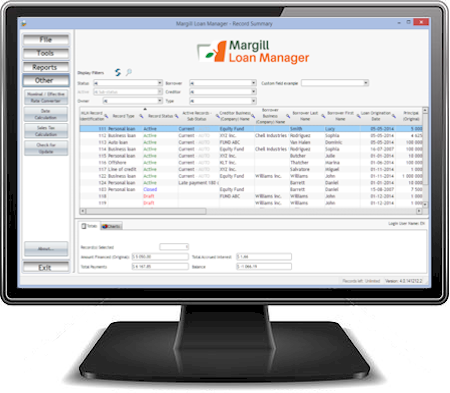 Margill Loan Management Software has greatly improved the efficiency and organization of our Local Producer Loan Program. - Whole Foods Market, Inc. This software was exactly what we needed and we have been happy with the functionality since we placed it in service in 2009. It is updated frequently, and service is great! 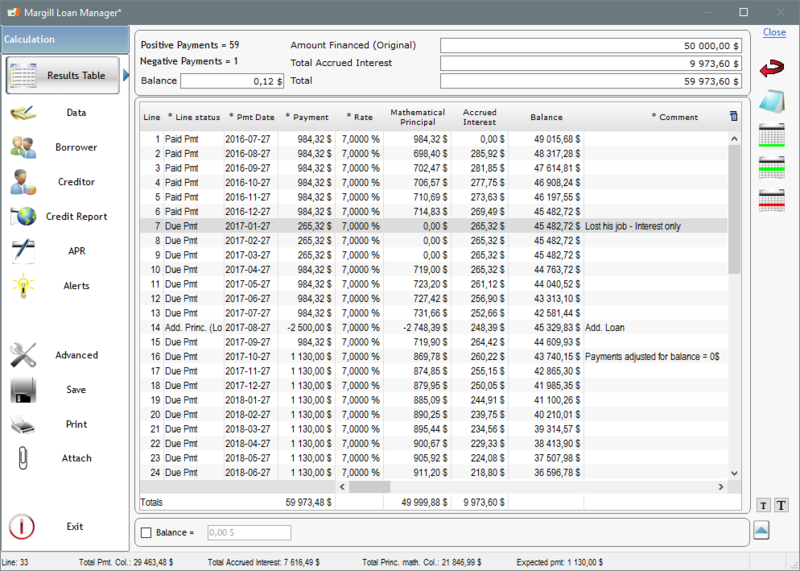 Send the payment schedule by email, attach documents, print various reports in just one or two 2) clicks! Use the Right click to get the most powerful options! set up a live Demo with our experts.